Songwriter Justin Rutledge is playing onstage and at songwriter workshops in Nunavut to help local artists rise up in Canada's music industry. 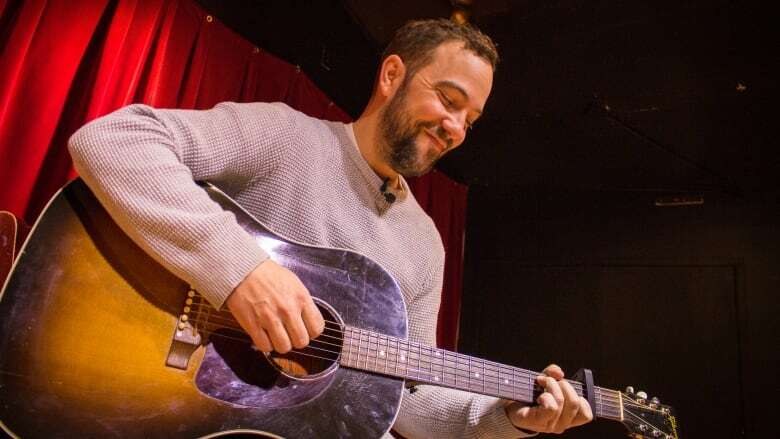 Juno award-winning songwriter Justin Rutledge is playing onstage and at songwriter workshops in Nunavut to help local artists rise up in Canada's music industry. 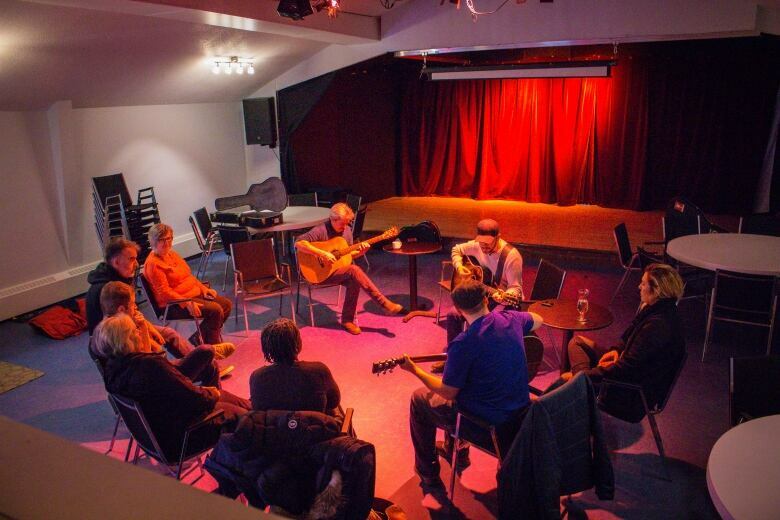 Alianait Arts Festival flew the Toronto-based folk singer to Iqaluit and Igloolik as part of a larger effort to bring big-name musicians up north, where travel expenses often hold local talent back. The festival's executive director, Heather Daley, says Nunavut's music scene is growing and invaded the Juno Awards this year with nominations, including The Jerry Cans for breakthrough group of the year. Daley says it's taken the festival providing a stage, lighting and bringing in musicians from around the world that bring up the level of professionalism to help prepare those artists for the Junos. The problem is there still aren't many opportunities for young, emerging Inuit artists to play in front of large crowds or collaborate from talent elsewhere, said Daley. "It's about growing the Nunavut artists," said Daley. "I don't think there's anywhere in Canada that it's harder for them to get known. You have to fly everywhere." Rutledge says it's not even affordable for artists like himself to tour Canada's North. This is the first time he's performed in Nunavut, and he couldn't believe the $3,000 price tag for his airfare alone. "It's just not feasible for us to do it on our own," said Rutledge. "So for us, to have a festival bring us up here, [that] has a lot of weight." 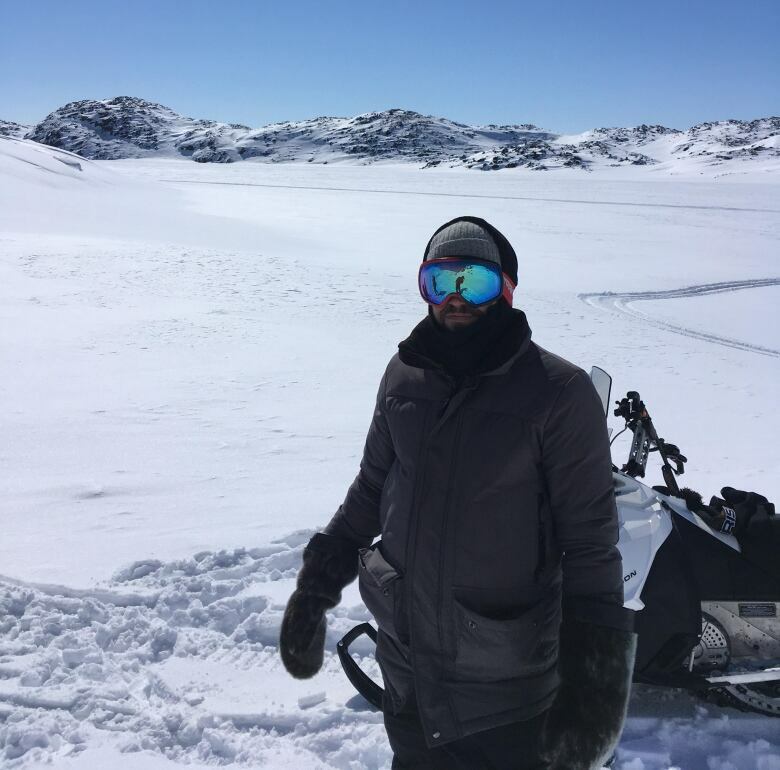 Within 24 hours of getting off the plane, Rutledge was taken snowmobiling, hunting and tasted muktuk – frozen whale skin and blubber. Then, he took the stage this past Saturday at Inuksuk High School in Iqaluit. "I feel like I've had a bit of a red carpet rolled out for me," said Rutledge. "It's just such a wonderful place. I'm as interested in learning about the music up here as I am in playing my music for people up here." "I feel a little lucky that I can bring my guitar and even though I may not speak the language, we can still sing a song together and learn from each other." 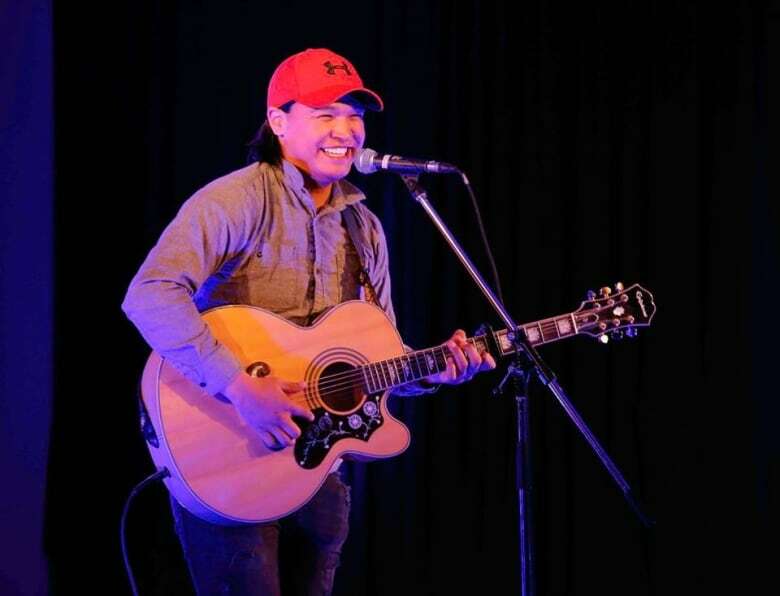 His performance was a chance to bring Rutledge's rootsy sound to a Northern audience, and for Inuit singer-songwriter Jerry Laisa, who opened for Rutledge, to sing on the same stage. Laisa hopes the show helped shine a light on his songs, all sung in Inuktitut. "I'm hoping I'll get to play more," said Laisa. "I want to inspire people someday. I want to be a good leader." At an intimate songwriting circle the next day, local solo act Francisca Mandeya worked on her new song with Rutledge. 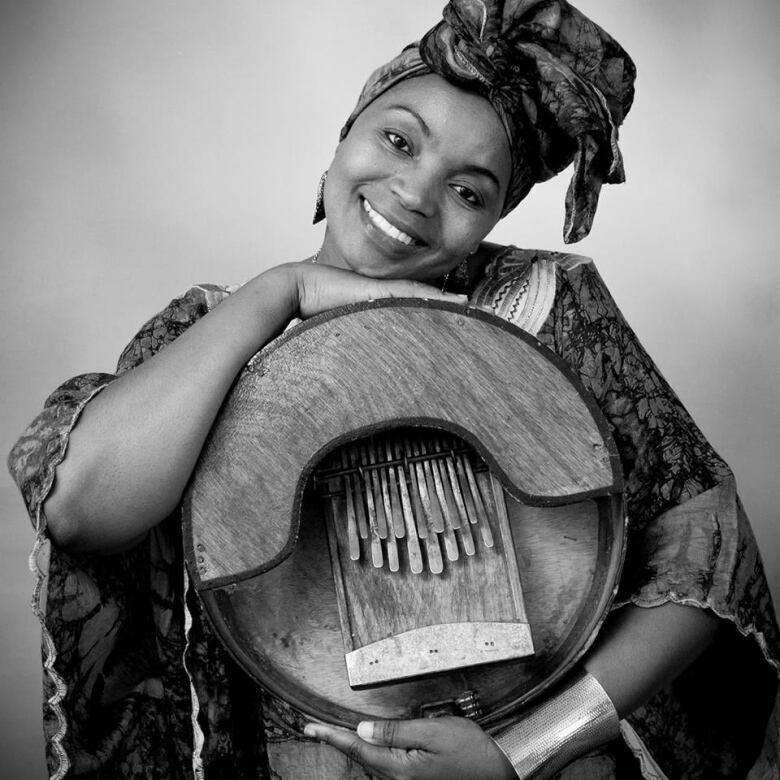 He helped the Zimbabwe-born musician with chords to play on her mbria, an African instrument sometimes called a thumb piano. "My experience was beautiful," said Mandeya. "It helps me step up my music." Mandeya has been living in Iqaluit for the past four years, for some of that time working on suicide prevention. She calls her music "healing," and hopes it can help the community cope with socioeconomic problems. It's been challenging trying to get her music recorded, she said, because the focus right now for grants in the territory is on Inuktitut-speaking performers. This opportunity to play with a well-known musician gives her hope. "I want to do better," said Mandeya. "It feels good to have that opportunity to have people at your doorstep that have that talent. And makes it possible for people to dream, and even dream bigger than what we would normally." Next, Rutledge is off to Igloolik, to perform and meet with the music community that's working to revive the Rockin Walrus Arts Festival after it went into debt several years ago. Daley is helping organize the event and hopes to feature Indigenous artists from different parts of Canada, Greenland, Australia and New Zealand.